P1080563, originally uploaded by Aaron78. I'm really only getting good static shots at the moment. Think my beloved Panasonic camera might be on its last legs. But I think this is a nice moment, neatly juxtaposing the stillness of waiting at a red light with the roar of the traffic on green. 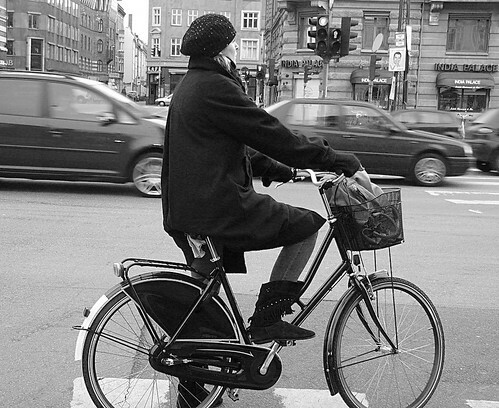 Classic Copenhagen winter attire, classic Copenhagen bike.